Combine flour, baking powder, salt and nutmeg; set aside. Cream together butter and shortening; add cream cheese and sugar beating until fluffy. Add egg and vanilla; beat well. Gradually beat in flour mixture. Divide dough in half. Cover and chill 1 to 2 hours. On lightly floured surface, roll dough 1/8- inch thick. Cut with cookie cutters. Place on ungreased baking sheet. Bake for 7 to 9 minutes. Cool on wire rack. Frost as desired. 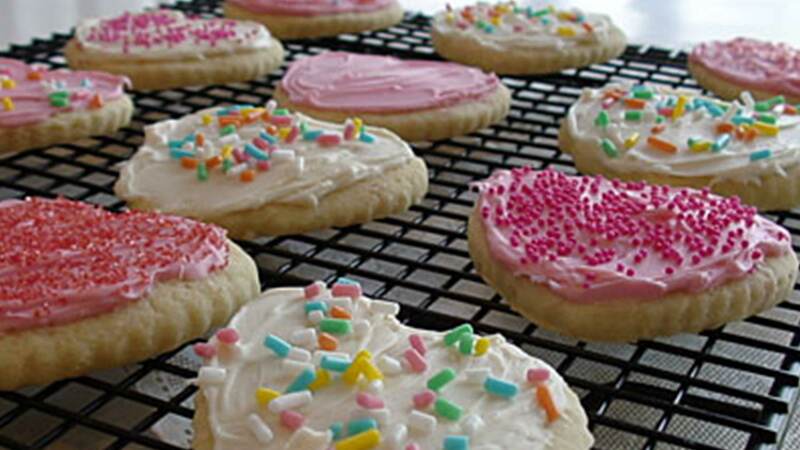 Cookies can be baked ahead and frozen, then frosted at a later date.